I’m making another heart, for the next month annual exhibition in Sintra. No photos yet, I want it to be a surprise. 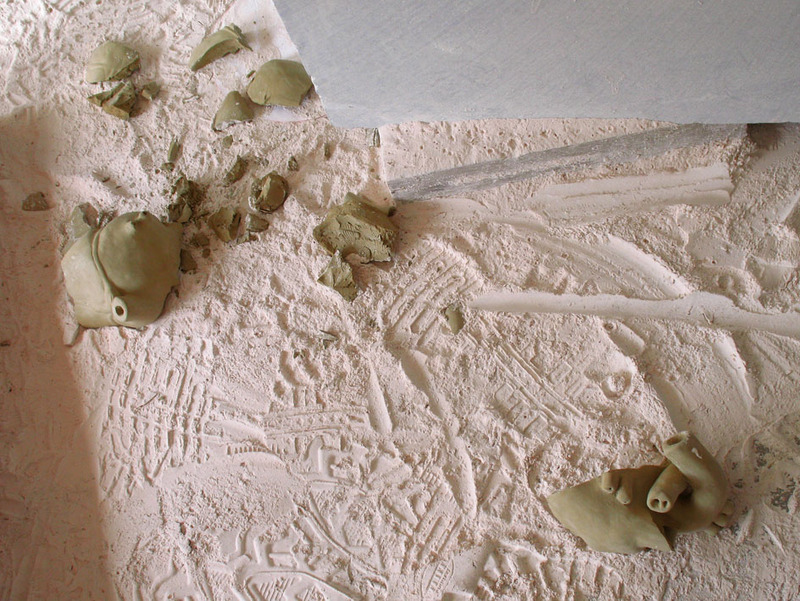 This afternoon I broke the terracotta model in a clumsy move. I’ll peak up the pieces and repair it. Tomorrow it will be good to go, I hope. We rarely treat our models with the respect they deserve...as we see them only as stepping stones to the 'real art". Yet they can be as wonderful as drawings in showing how we think and work and change our minds on a project. Good luck with it. looking forward to seeing both the model and the finished art.